Holidaying and Crafting and Stuff. The boys and I have scurried away from the farm for a few days' holiday at the beach. One of those holidays when it is a bit stormy and wild and cosy. I have had a bit of crochet time and have used it to make a few more crochet cameos. I am still working on the deer head pattern but I am thrilled with how his antlers have worked. Little skew-whiff but he'll come right in the end... don't we all? Knitting 24/7 - A Review. I am feeling very excited and technologically advanced to be bringing you this book review today. I was recently contacted by Liz Funke from Open Road Integrated Media to see if I would be interested in reviewing some knitting ebooks they have just released in collaboration with S.T.C. Craft / Melanie Falick Books. Considering I am a major fan of Melanie Falick I was very, very quick to say yes. I haven't bought an ebook before and found myself wondering how, without a Kindlely-thing or ipad, I would find having an ebook on my laptop. Five days later I can honestly say "Gaaaaaah, my life has been revolutionized and all my craft books will now be bought as ebooks!!!!!". And why this sudden change of heart, well, apart from the fact that an ebook is a fraction of its paperback price, the page stays upright, backlit and open on the pattern I am working on (rather than flipping continually shut like its paper counterpart). I love that the text and charts can be enlarged which is very handy for bespectacled people such as myself. I also travel a bit and in this format, it means I can take all of my crafting books with me without adding huge amounts of weight to my luggage - on one trip to the South Island, we took more than twenty books with us. 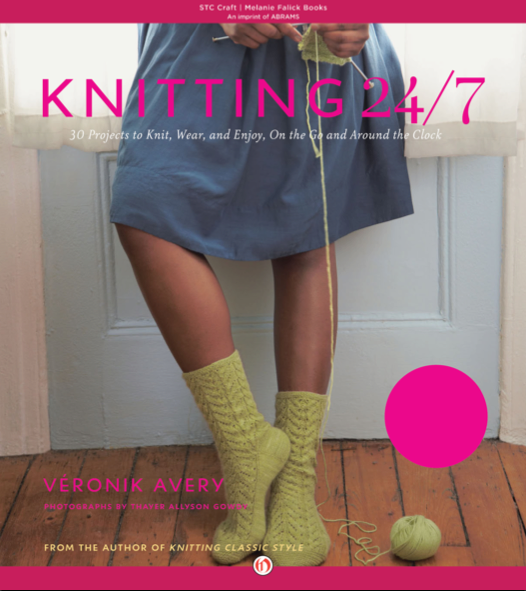 So now, onto the review of Knitting 24/7 by Veronik Avery. One of the really appealing aspects of Knitting 24/7 is the layout. Projects have been sorted into day, night and weekend categories to suit a variety of circumstances. Veronik writes in her introduction, "I designed the projects in Knitting 24/7 to be portable and to make use of our “extra” time—those nooks and crannies in our lives when we are busy, yet our hands are free to practice our craft. Many of us like to knit while we travel, wait, watch, or listen, and times like these call for projects that can be easily stowed in a bag and contained in our laps. They also call for easily memorized stitch patterns so that charts are not needed once the pattern has been established". 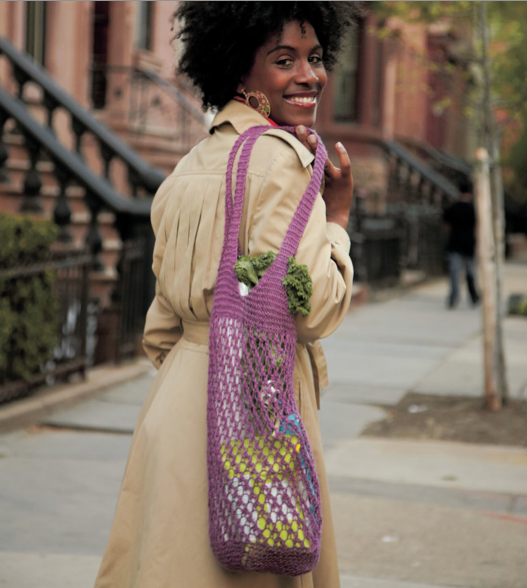 I am already itching to make this Linen Market Bag - in that exact plum. 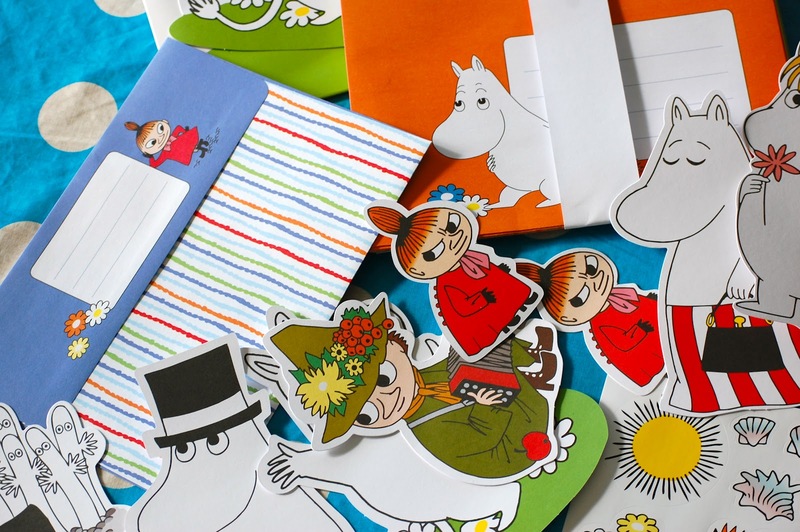 All of the projects have been designed so they are easily portable and quickly finished. I love the thought of knitting these slippers up for Archie one afternoon in time for bed. Maybe one warm foot per night might be more achievable though. 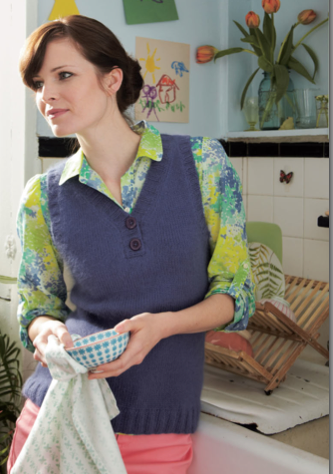 The photographs in Knitting 24/7 are so beautiful and cosy - although I have to say that I don't just want the mittens, I would also please like the mug and cape. I think I may have to make myself a cape to wear for tea drinking. This headband will definitely be my first project from the book. Hopefully I will knit it these school holidays - the weather looks a little rainy so I suspect the boys and I will spend the odd afternoon snuggling up on the big, blue couch with a dvd. And this vest is also way up the on the list. I love the lines of it. You can find Knitting 24/7 here. Today was a very momentous day being Jonno's birthday. The boys and I love nothing more than spoiling Jonno on his big day. We love, love, love him. Both of our birthdays are quite close together which was a little hard for me to get used to when we first became 'boyfriend and girlfriend' but now I am quite happy to share the season with him.... even to the point where we occasionally have a joint part of our birthday presents. This year I commissioned my friend Mandy to paint cameos of the boys for us. We are both completely and utterly in love with the paintings and have spent the whole day pausing from different angles to admire them. And slightly bigger little Archie. I also visited a ribbon shop today. And made a birthday cake for Jonno with crushed berry icing - the colour is totally natural. My big boy, who is standing right beside me being very strange and funny has been an utter startthis week. In fact both boys have been amazing and have coped extremely well with a school play that spanned over three performances and guaranteed very late nights. Anyhoo, Archie woke up this morning and decided that he wanted to cut some flowers for his lovely teacher who has had the most enormously busy term. I think if your 9 year old son makes a posy for his teacher and is happy to carry it on the school bus, then he is at the right school. Oh Noble and Miniature Fox. The other day I found a teeny-tiny fox running around the house and so of course, I promptly chopped off his head and had it mounted. It has become a new hobby of mine... Actually, if truth be told, I crocheted him and stitched him onto a backing piece of crochet. No animals were harmed during the process. This one is now waiting for a little creature to adhere to it. I would like to have a whole wall section of crocheted and mounted creatures but for the meantime, Foxy can hang out with the boys. He fits in quite well. Strawberry flavoured tea cosy - tick. I rarely make things for myself so it was such a treat to crochet myself a tea cosy, custom fit for my tea pot (or as I could say couture crochet....). I have already had some tea to drink from it and I can happily report that it was hot! Nothing like crocheting in the afternoon light, particularly when there hasn't been much of it. 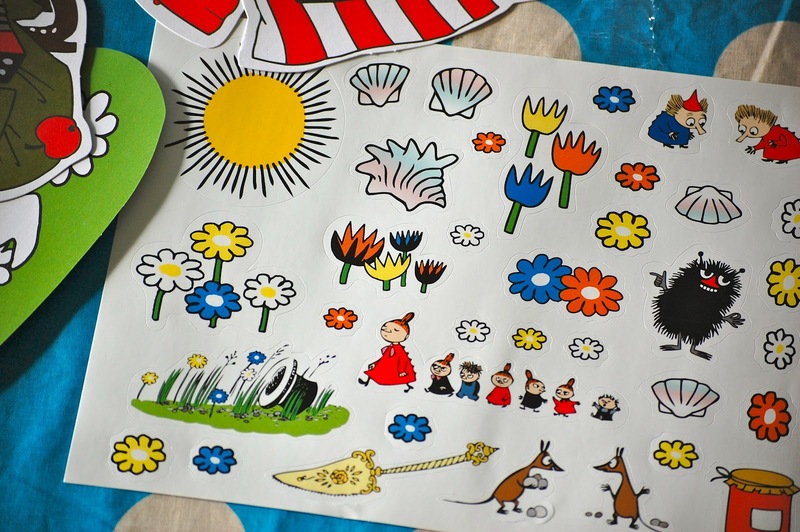 We love Moomins in our house. We have lots of books and even a c.d. 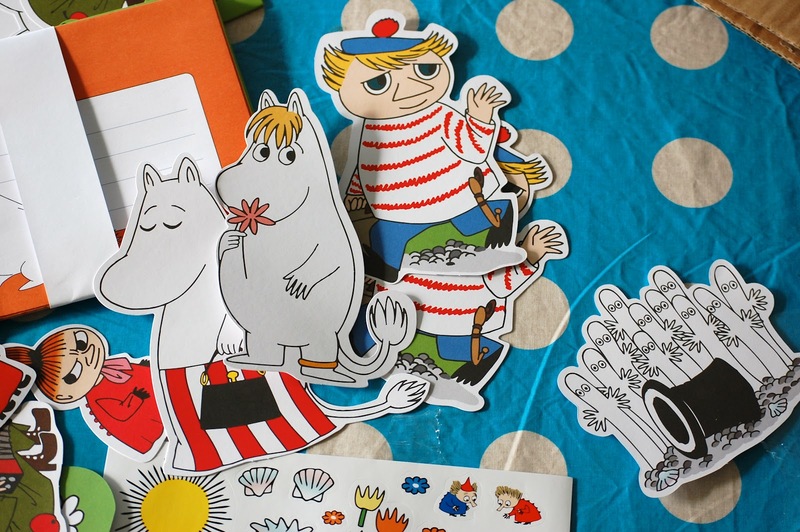 with Hugh Laurie reading 'Finn Family Moomintroll'. 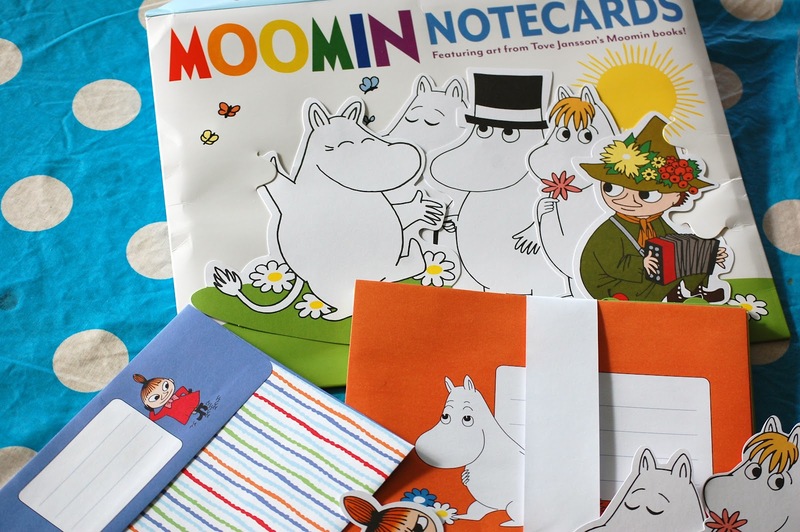 Now we even have Moomin Note Cards for the boys to write with. We love, love, love, love them. Except I don't know if we will really be able to send them to anyone. Another little friend for another newborn baby. No name as yet - I thought that would be a good thing for the baby to do when he starts to speak. 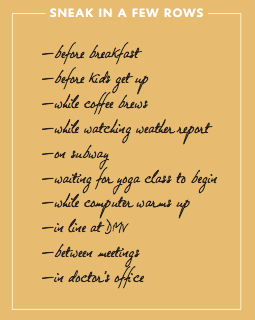 Also, my brain is too tired tonight to think of one. And a tiny present for Archie's teacher. Bed is beckoning already this evening and it is only 7pm. Why can't the boys be putting me to bed? Sometimes I think the animals on this farm are a little strange.